Thomas M. Owen in the basement of the Alabama capitol in Montgomery, ca. 1910. 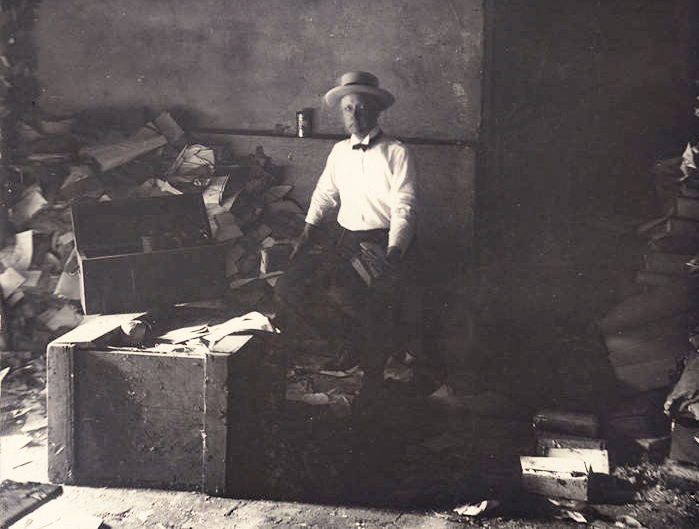 The Alabama Department of Archives and History, which Owen founded, was housed in the cloak room from 1901 until 1903, when it was moved to a new wing of the capitol building.